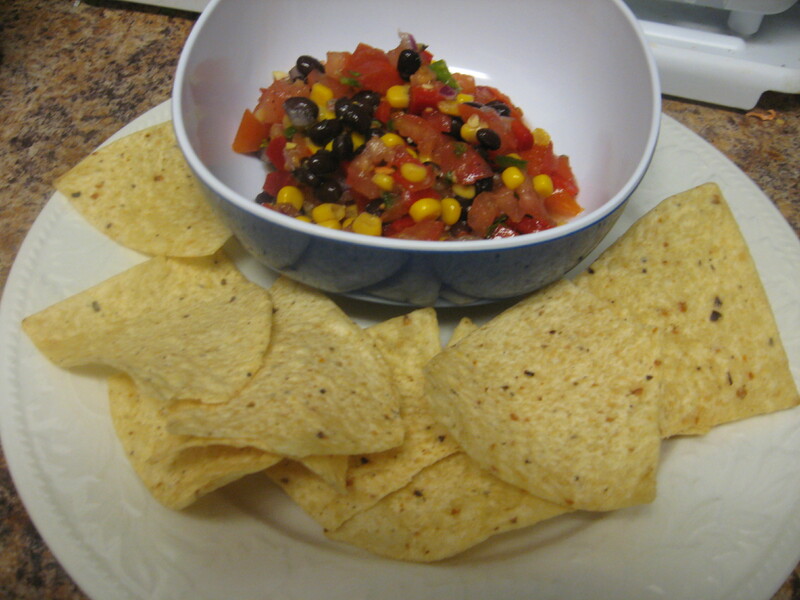 As promised, I’m bringing you a recipe to use those leftovers from my last post: the black beans and corn. 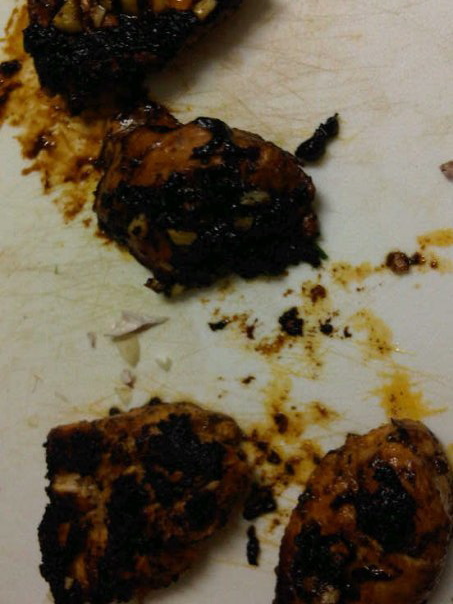 What I didn’t tell you was that this recipe was one of the best things I’ve made all semester. 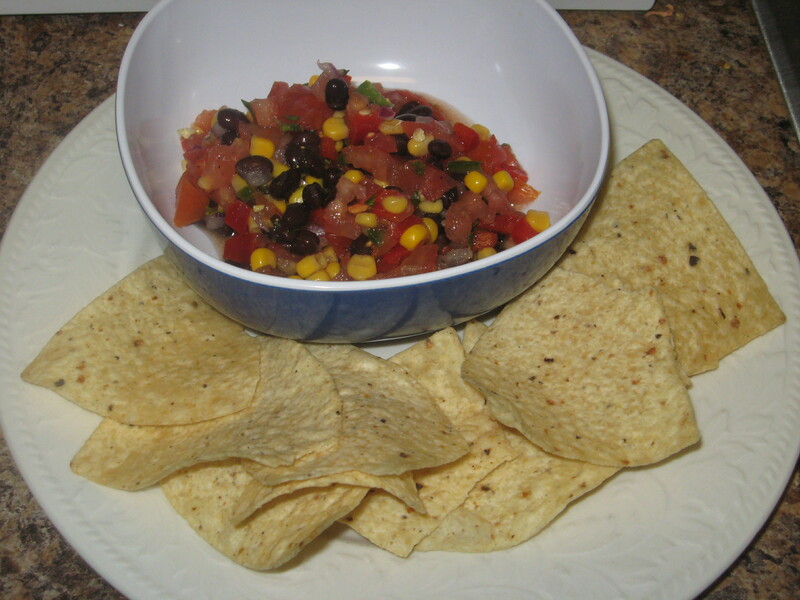 It’s a simple salsa, but it’s so delicious and the fresh ingredients knock that jar of Tostitos that’s sitting in your cabinet right out of the water. 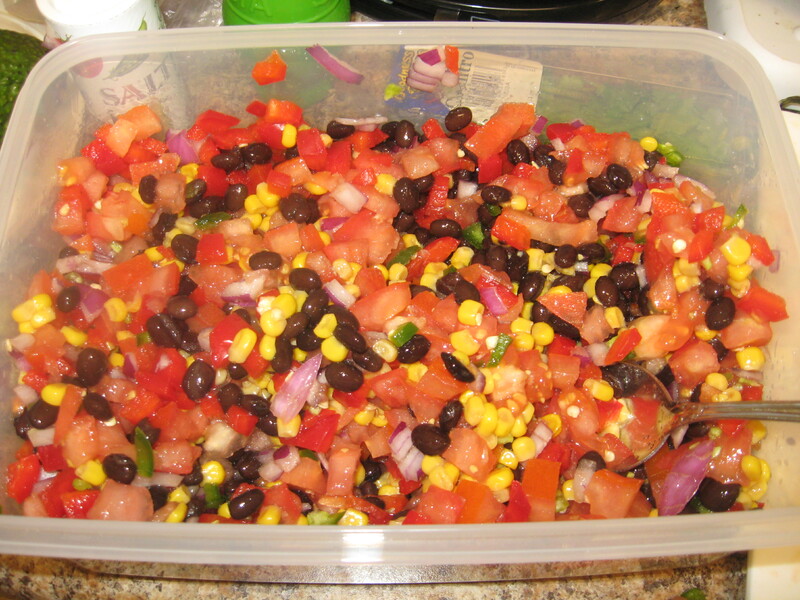 Homemade salsa is really healthy, as long as you moderate your portions. 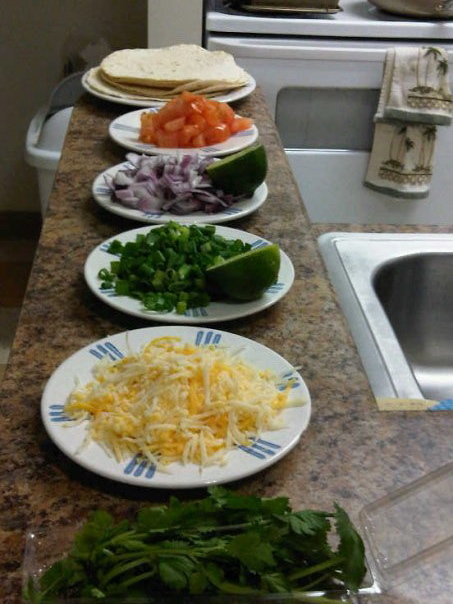 Of course it’s traditionally served with chips, but for a healthy alternative, use it over chicken, or in a salad. 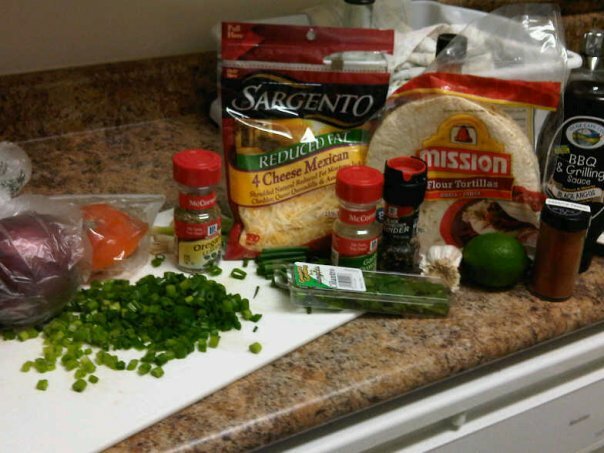 Here are some recipes using salsa from Yahoo. You’ll probably need to go buy some ingredients, but everything is pretty cheap, and you’ll use everything. 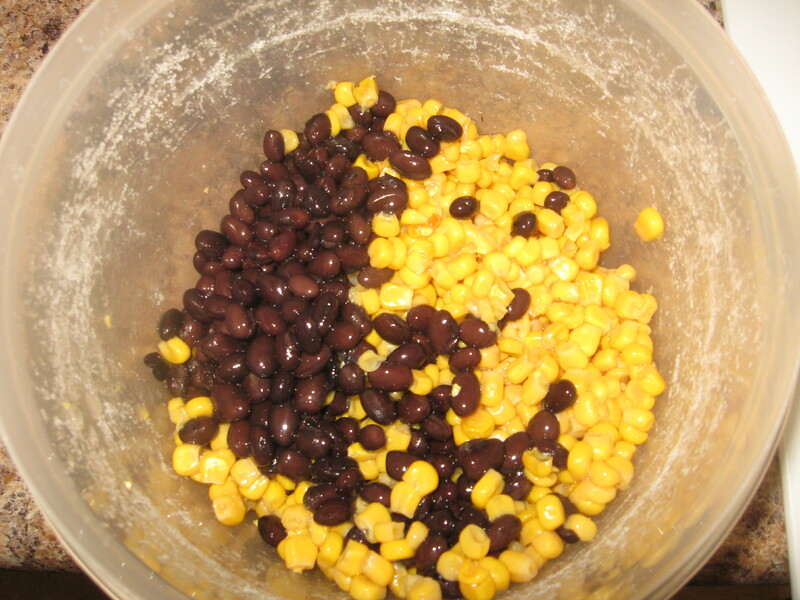 Put the leftover corn and beans together in a large bowl. Chop all the vegetables except the avocado. 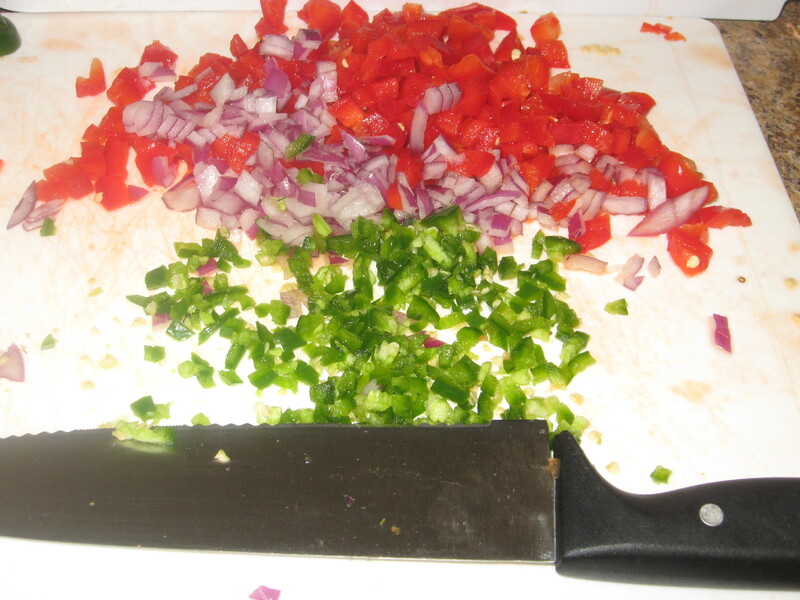 The tomatoes, onion, jalapeno and red pepper. 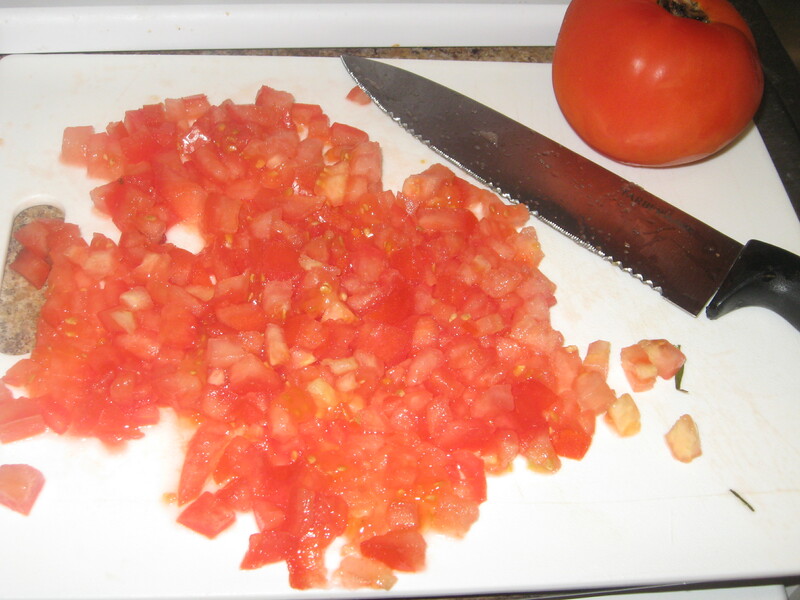 This is the most tedious part of the process, especially the tomatoes. 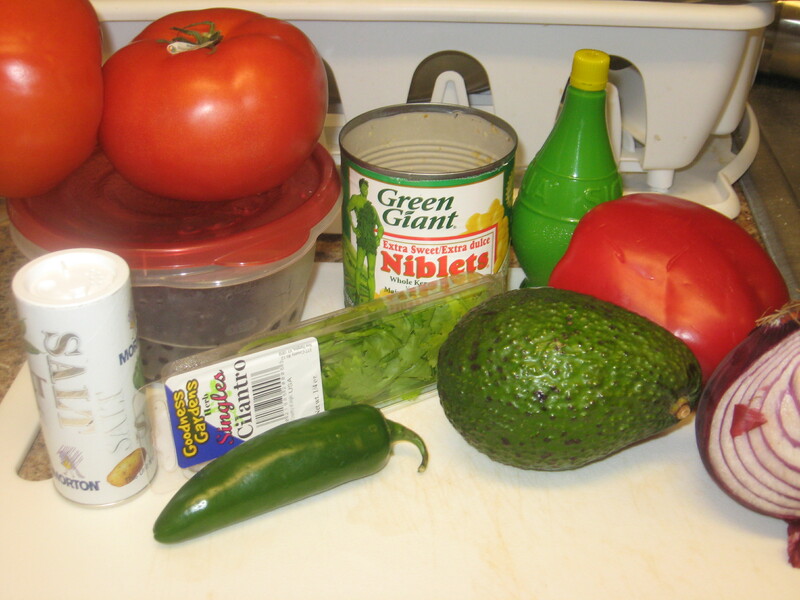 Add these ingredients to the bowl and mix everything together. 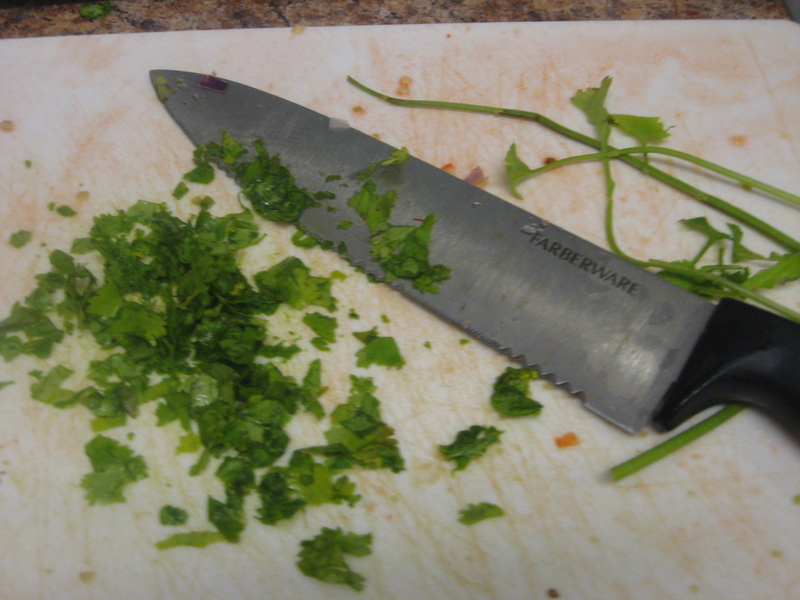 Chop the fresh cilantro and add that to the bowl. Add the lime juice, salt and pepper and stir everything thoroughly. Now, you can be done here if you’d like: it’s delicious just like this. 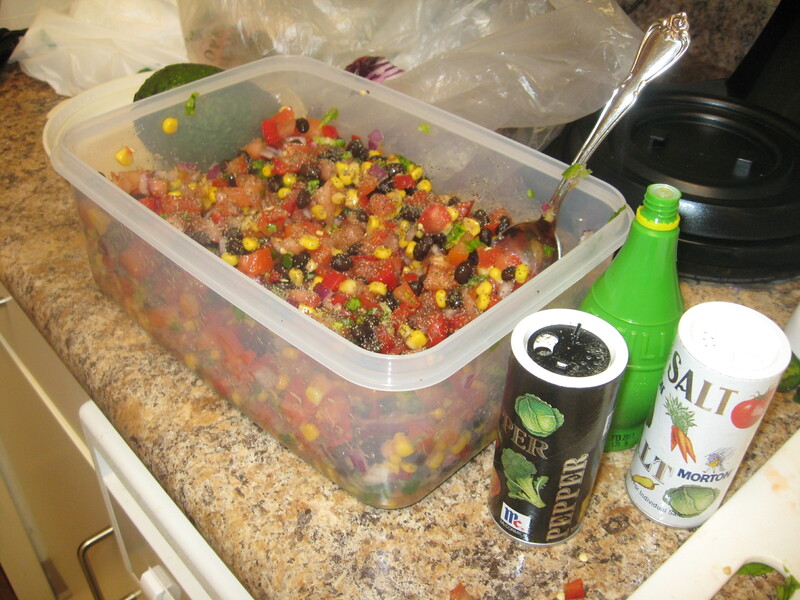 Or, store it in the fridge for at least two hours, and then just before serving, chop the avocado and add that to the salsa. 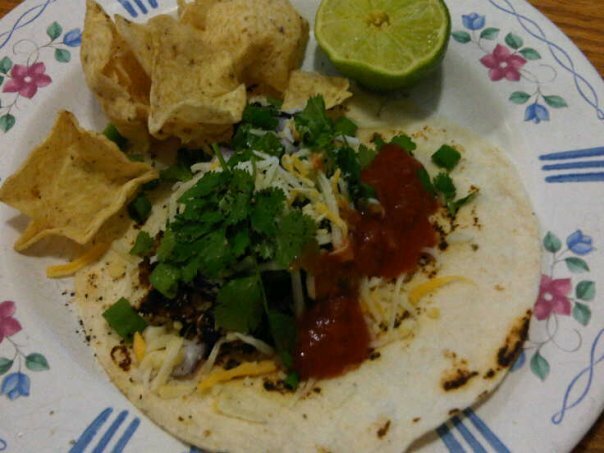 I didn’t include the avocado in the pictures, because I haven’t served the salsa to anyone (other than myself) and have yet to add the avocado; but it does add a great touch. Serving tip: If using tortilla chips, put them in a pan and place them in a 350 degree oven for a few minutes before serving. The contrast of cold salsa and warm chips is fantastic., which is why most restaurants do this. A ridiculously easy recipe, yet one of the tastiest! It’s a perfect solution if you’re having friends over, or want to store something you can use a snack for a few days. Enjoy!